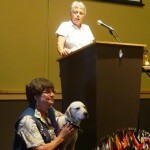 Tobey and I had the pleasure of hosting two students who were attending the International Lions Camp at Woodland Park. 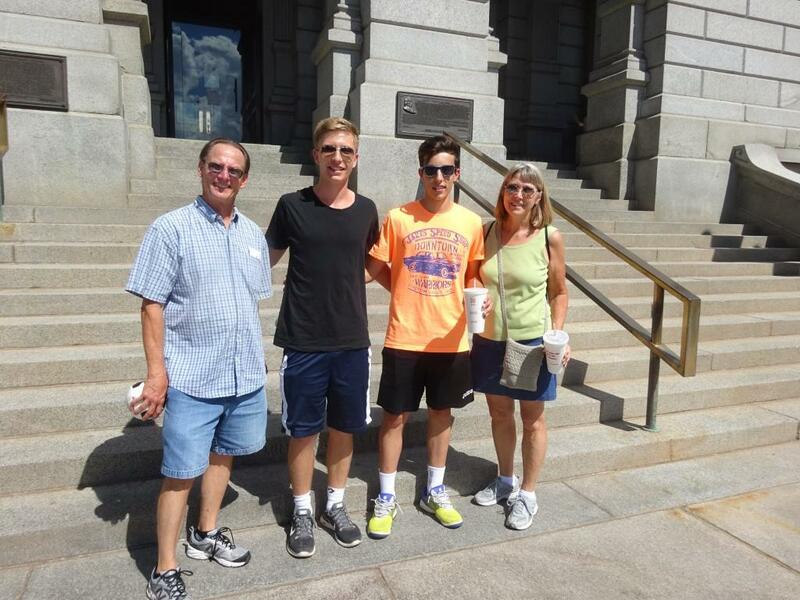 Diego, from Leon, Spain, and Philipp, from Wiesbaden, Germany, arrived on July 23 and were with us until August 18. During our time together, we kept busy! 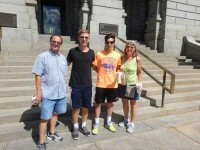 We took the boys to Water World and an all-star soccer game, visited the State Capitol in Denver, bicycled all around Fort Collins, went to several of the free outdoor concerts in Fort Collins and Windsor, and visited the Budweiser Brewery. We also took our students, as well as two others and a host dad, to Rocky Mountain National Park where we were lucky to see a rattlesnake, bighorn sheep, elk, deer, marmots, chipmunks, and a mother bear and cub! On another day Tobey led a group of about 15 students on a hike to Horsetooth Rock and back to our house for a noon-time barbeque for about 20 people (host parents also attended). The kids had the chance to attend a Rockies baseball game and Broncos training camp, have s’mores for the first time, and go to an indoor trampoline park. We also took Diego and Philipp rafting on the Poudre River before they went to camp. 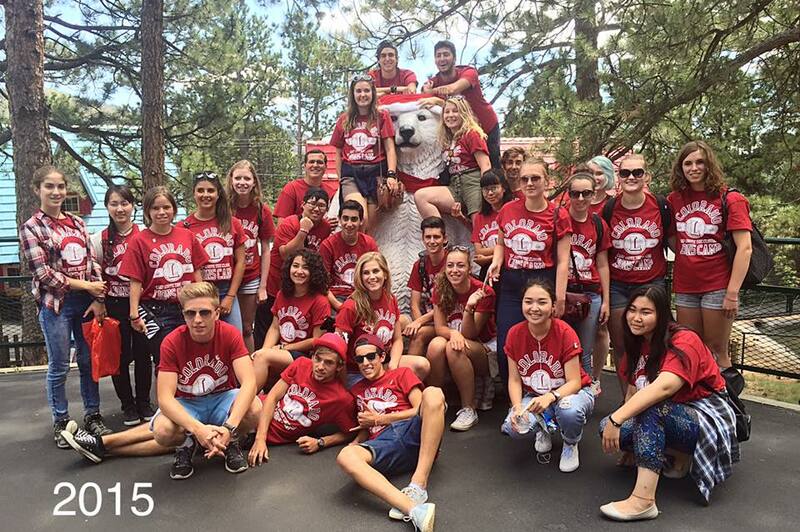 At the camp, they were part of the 28 students from 17 countries who came together to see a small part of America, meet students from around the world, get to know one another, and share ideas. Were we busy 24/7 for 3 weeks? Yes! Did we have a great time getting to know these two young men and several of the other students who were with families in the Windsor area? Yes! This is a great opportunity to show off our beautiful state and get to know some interesting young people from another country. Consider hosting next year! 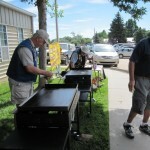 The Lions Camp was very busy this summer. 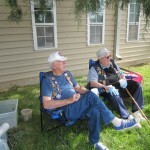 They hosted over 350 campers and a lot of them were first timers to the camp. 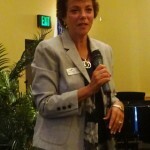 Sharron is working on getting more groups to use the camp in the off season as a way to help fund the camp and also using it more instead of letting it sit. A reminder that we should be saving Campbell’s labels and the pull tabs from aluminum cans. If anyone needs a list of which items have the labels on them, let me know or go in on the Campbell label website http://www.labelsforeducation.com/Earn-Points/Participating-Products for the current list. Just bring your labels and tabs to Faye at any meeting. 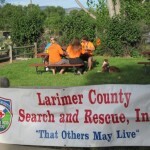 Club members served a pancake breakfast which benefitted the Larimer County Search and Rescue on Saturday, July 18. 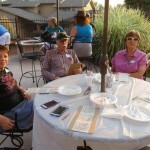 We had great participation and the food was food was awesome, as usual! 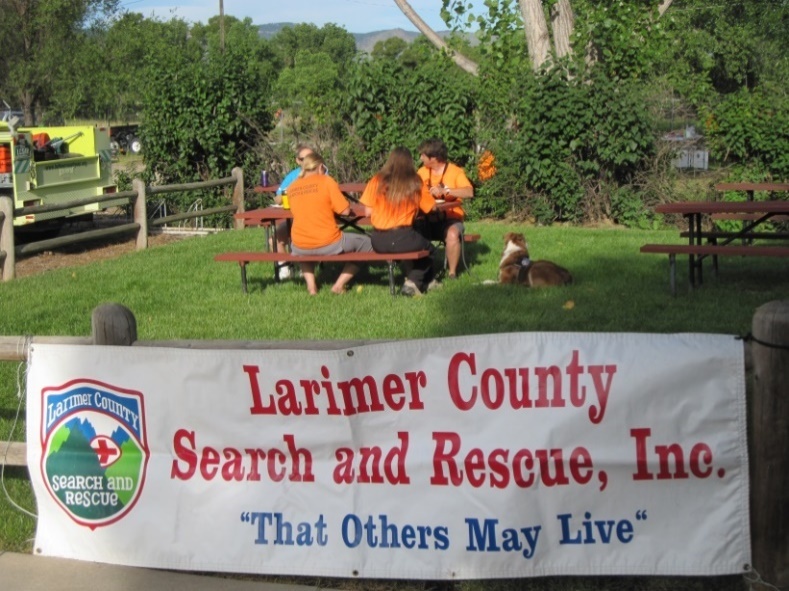 Members of the Larimer County Search and Rescue sell tickets for the pancake breakfast and enjoy some early breakfast bites! 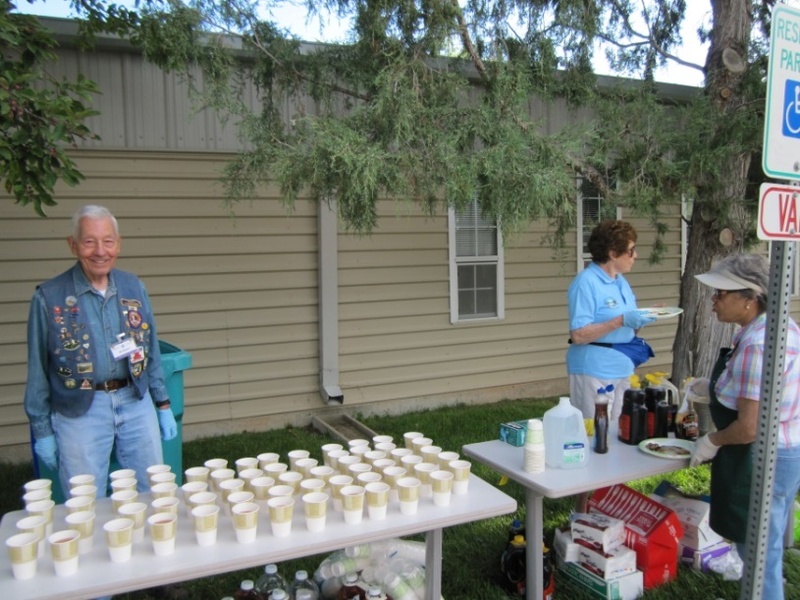 Lions Bill Brenner, Irene Toliver and Aida Raider make sure things are ready for the hungry customers! 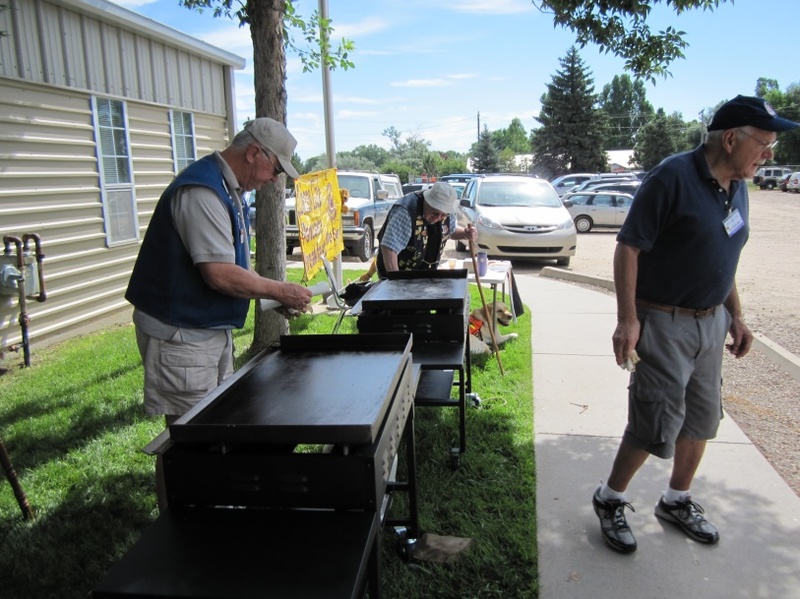 Lions Jim Trupp, Harold Einarsen, and Dale Edwards are getting the grills ready to cook. 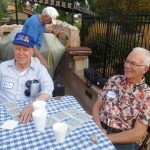 Lions Dan Fahrlander and Harold Einarsen take a break. Lion Aida carries sausages to the serving line. 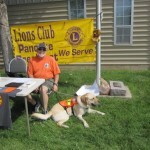 Lion Lois Atwood helps serve pancakes. The party is over and time to get everything cleaned and ready to go! 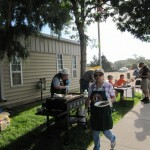 Our next opportunity to serve pancakes will be Saturday, August 29, at the Downtown Library. 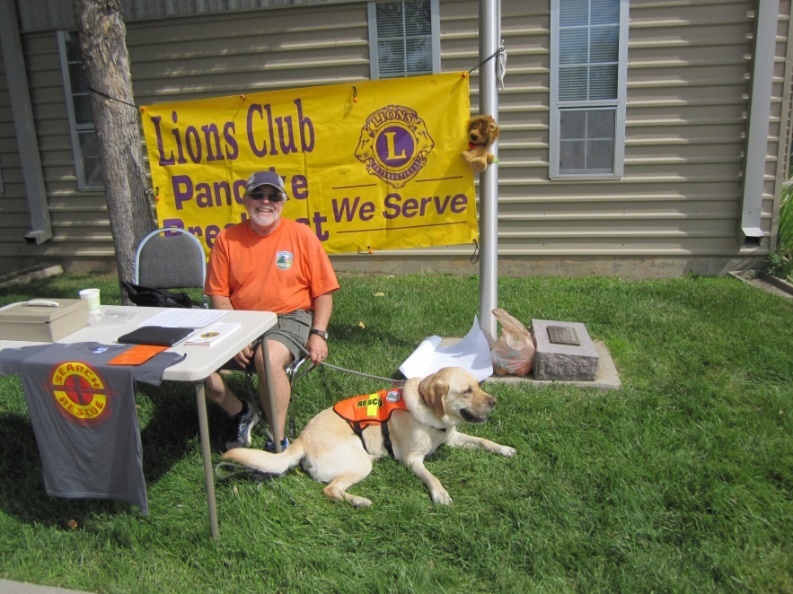 See Lion Bill Funke to sign up for this service opportunity. The Halloween Eye Ball is a costume gala and a fundraiser hosted by the Ensight Skills Center. 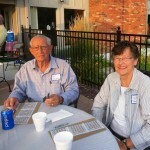 Ensight’s impact on the low vision community grows larger every year. The Eye Ball is a unique event that encourages our supporters to grab their best costume and celebrate the outstanding work and services provided by Ensight. 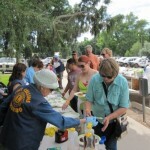 In the past two years, more than 300 people have attended the event. The 2015 Halloween Eye Ball will be held at the Agave Room located in Old Town Fort Collins. 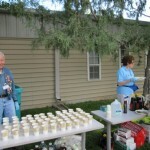 We expect this year’s attendance to be over 200 people. Join us… if you dare. 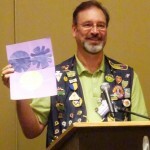 If you can’t attend and wish to make a donation, please check out the website http://ensightskills.org/halloween-eye-ball/ for more details. 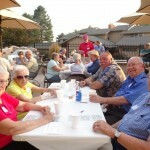 “Summertime, and the livin’ is easy …” The annual family picnic was held on Thursday, August 20, at the Adriel Hills Club House. 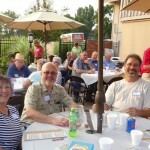 Over 50 members and guests attended. 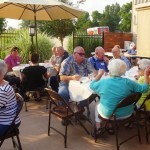 Guests enjoyed barbeque from Hog Wild, along with the yummy side dishes and desserts provided by our members. 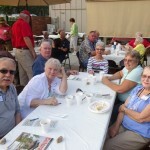 It’s a great time for members to get together and have fun. 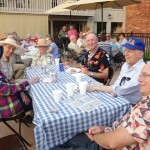 In addition to the delicious food, we played three games of Bingo with CASH prizes!! 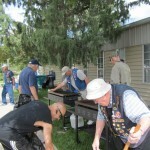 The buffet line was a big hit – lots of good side dishes and barbeque from Hog Wild! 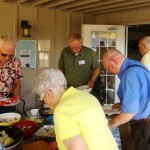 Adriel Hills Club House was a great setting for members to get together. 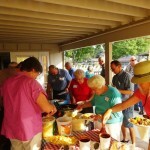 Jaye Leazer’s scalloped corn was a big hit with many of the folks in attendance at the picnic. She had so many people requesting the recipe, she agreed to share it here. This recipe is for a small casserole dish – she DOUBLED this recipe for the 9×13 pan. Combine all Ingredients and put in greased casserole dish. Bake at 350 or till fluffy and brown, about 50 minutes.